"The simplest things are often the truest"
This Geo Print dress from London Times Fashion had me from the start. 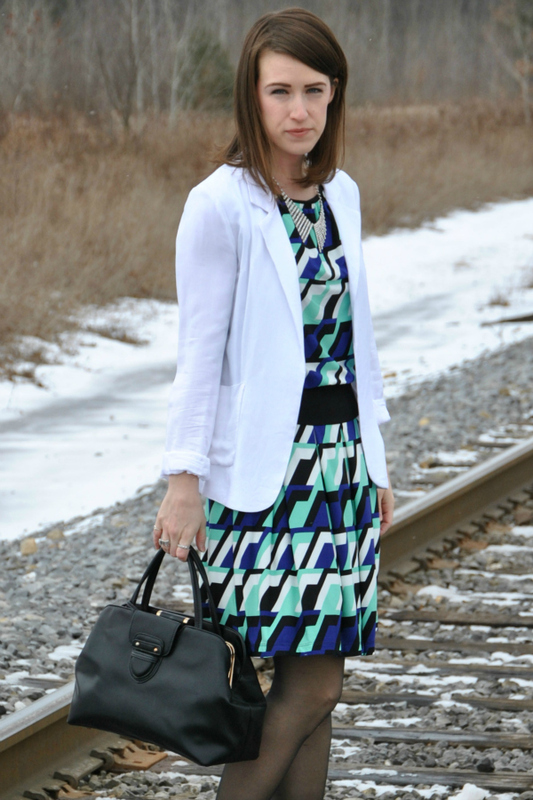 The colors are perfect to transition from Winter (navy and black) to Spring (mint and white) and there are so many different ways you could dress it up and down that make the possibilities endless. I wanted to keep the outfit simple this time with a classic white blazer and structured satchel from Handbag Heaven to help the colors the main focus. I can't wait to pair this with a jean jacket and summery wedges for Spring. What a lovely dress, Tiffany! Great to see you back! LOVE the print of that dress!!! you look fabulous girl!